Oh my heavens... what did I just read? 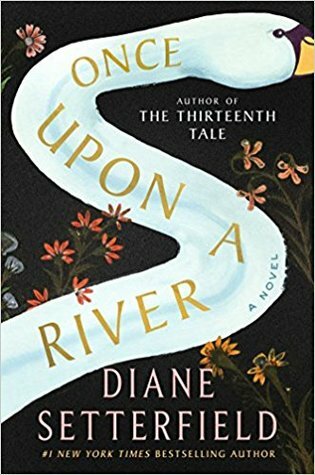 Once Upon a River is a truly amazing novel and I don't know how I'm going to put into words how I feel about it. Coming in at about 480 pages long, this is not a short read or one that you'll be able to skim through quickly. With that said, it is NOT a book you will want to skim through quickly. I wanted to soak up every little detail and every speck of information about each of the characters. This novel is highly character driven and it's definitely a novel that will continue to grow on you with time. The first several chapters take a little while to get into because of all the character introductions, but give it time and I guarantee you won't be disappointed. I loved so much about this novel that it's really hard to talk about the best parts and the best characters, but I think I grew to love Rita and Mr. Armstrong the most out of everyone. BUT... all of the characters were phenomenal and I probably would change that answer tomorrow if you asked me again! All in all, Once Upon a River was a beautiful and atmospheric read that you will want to spend your time taking in. It is filled with beautiful scenery, contagious characters, and more magic than you could imagine. I would highly recommend this novel to readers who loved Setterfield's previous novel. Thank you to Atria Books and NetGalley for sending this novel in exchange for an honest review.